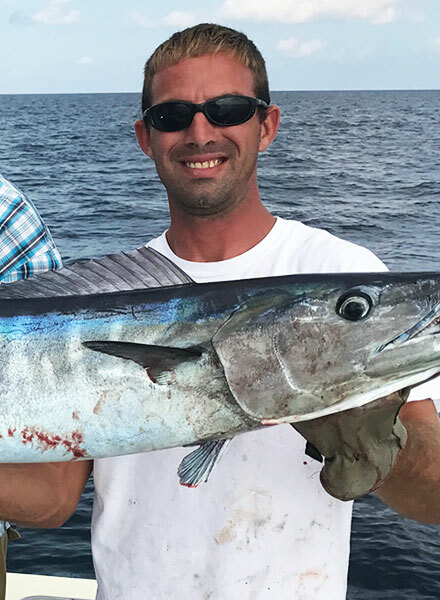 As a native of Fort Lauderdale, FL – Captain David has been fishing for over 25 years and possesses the uncanny ability to not only put his clients on amazing gamefish, but also to make sure everyone has a memorable adventure. 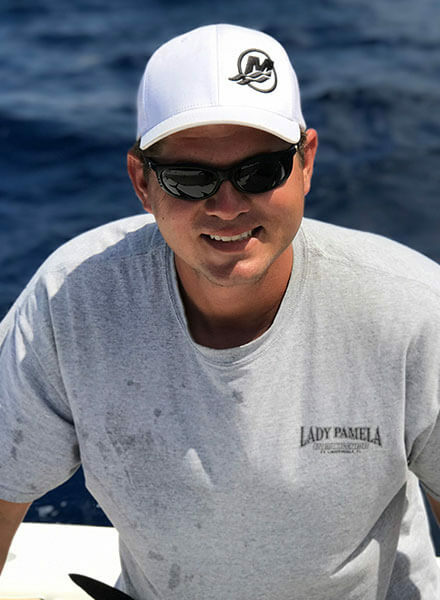 David steers the entire ship that is Lady Pamela Sportfishing and has built a family of the best Captains and Crew. 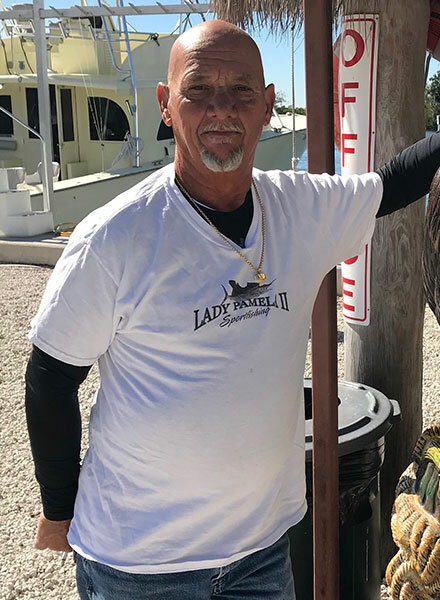 Captain David is dedicated to customer service and puts his reputation “on the line” daily in efforts to showcase the skills of Lady Pamela Sportfishing. Captain Adam is loved by our clients and for good reason. His passion day in and out to work hard to put clients on fish is evident to all of our clients. 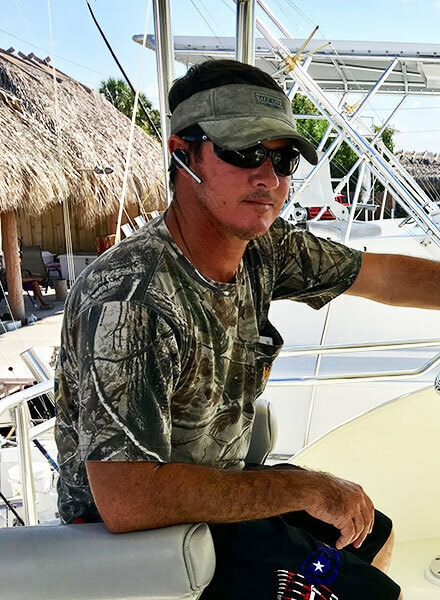 He can run the drift boat, shared sportfishing and private sportfishing boats. He loves to teach children of young ages his passion that is sportfishing. You may find Captain Adam in the office as well as on the phones, but make no mistake about it he is quickly becoming an old salt and a highly-regarded Captain. 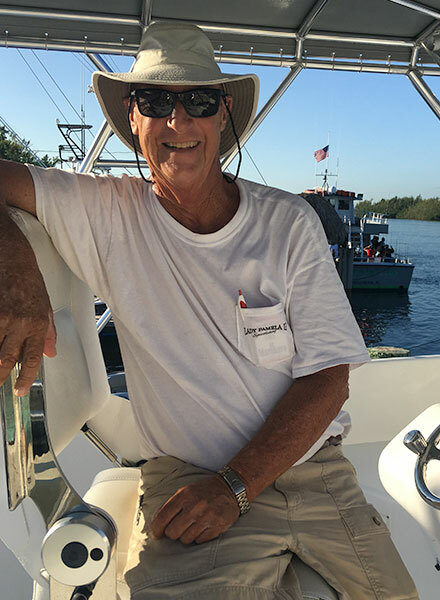 A real sportfishing expert, Captain Jimmy brings countless hours of experience at sea putting customers on big fish and lots of snapper. 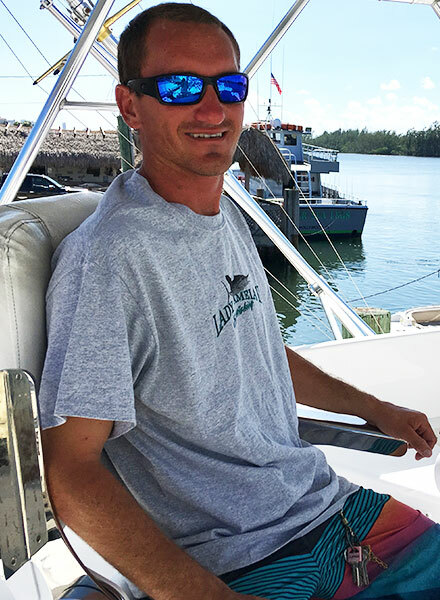 He can run the drift boat or any of the sportfishing boats with ease and loves to teach new anglers everything he can on the trip. Feel free to pick his brain while fishing with him. 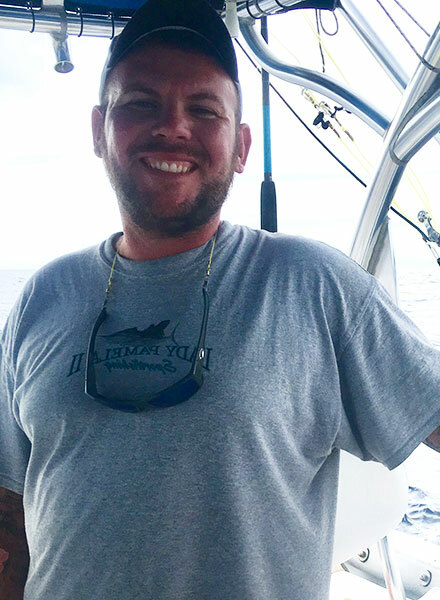 Known by our customers as the “Snapper King”, Captain Patrick runs the drift and night fishing trips and works his tail off to find the fish and make sure everyone is having a great time. No matter the age or experience level, he has a passion for ensuring each angler gets the same amount of attention and catches fish. 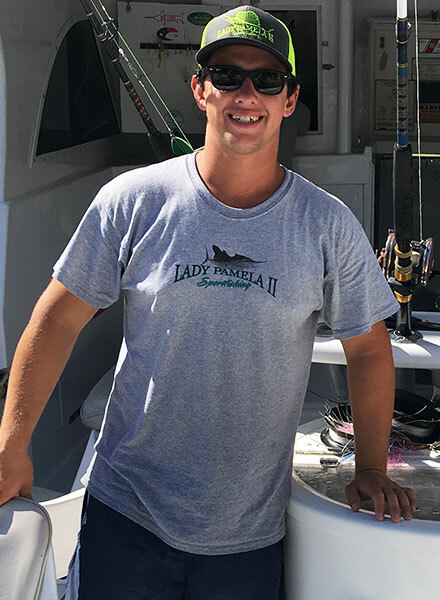 Full of life and passion for putting his clients on big fish, Captain Gino is known for his adventures of battling big fish. 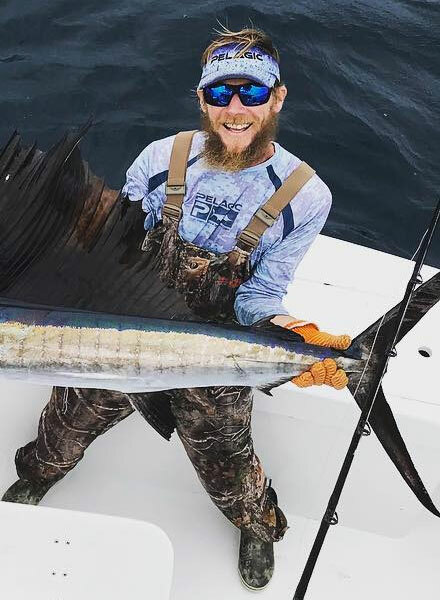 He loves to fish for sailfish, tuna and wahoo as well as fish in the Bahamas. You’ll find him in the bridge of the boats yelling down to his clients exactly where to pitch the baits for that trophy fish. 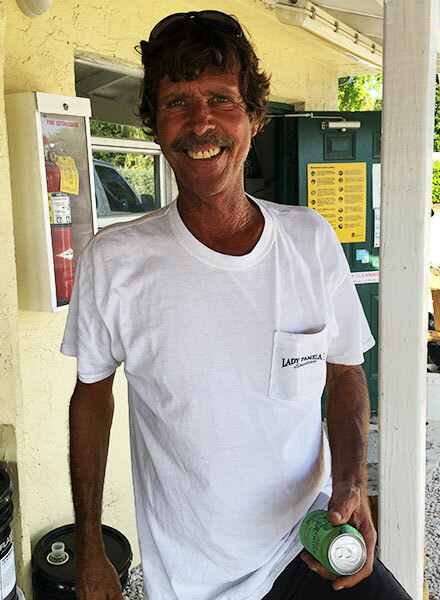 Captain Steve has been fishing the Fort Lauderdale waters since 1976. His expertise and professionalism as a captain is unsurpassed. He loves to put clients on great offshore species such as sailfish, mahi and tuna. When Steve is not running charters, you can find him at the marina helping customers. An old salt, Captain Mitch has had the fishing bug since an early age. It didn’t take long for him to know he wanted to share his passion with others and teach the younger generation. 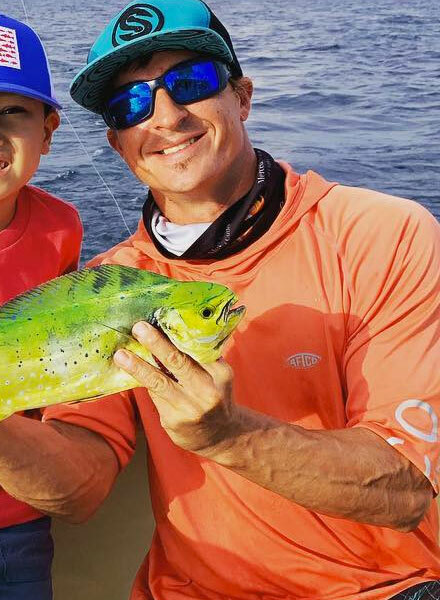 He loves taking kids of all ages and experience levels fishing to introduce them to this great fishery off South Florida. From the tower, Mitch uses the height to spot fish and direct our mate and clients where to cast, he is essentially a “maestro”. Sean is a sportfishing fanatic! 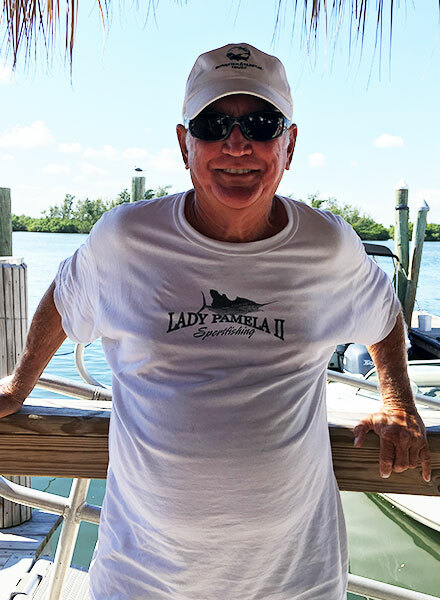 When he isn’t putting clients on big fish aboard the Lady Pamela, he is out fishing or diving on on his own. His favorite types of fishing are kite fishing and targetting big sharks. He prefers to be in the cockpit with customers rather than in the tower as a captain. Putting clients on their first big fish is his true passion. 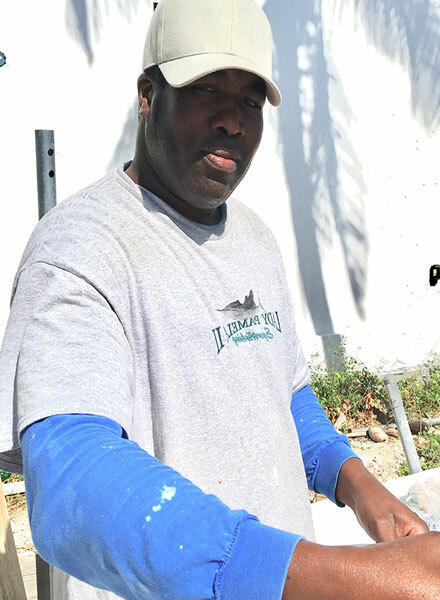 From Jamaica, Tony bring his passion of fishing to the Lady Pamela Fleet aboard the Lois Ann. He is master at catching snapper, porgies and groupers . He loves to make sure his clients on board are always in the fish by helping them with bait, weights, etc. He has caught some of the biggest mutton snappers aboard the Lois Ann that we’ve ever seen! Ryan is a hustler! You’ll find him in your cockpit working his tail off to put you on fish. Constantly changing out the baits, rigging fast and putting you in the chair with big fish. He aspires to be a Captain one day soon, but for now he loves to work with the customers directly and teach everything he knows to the younger generation. He also has a few jokes. A fisherman, a dedicated father and a hard worker who loves to see the smiles of his clients when they are reeling in their first fish. 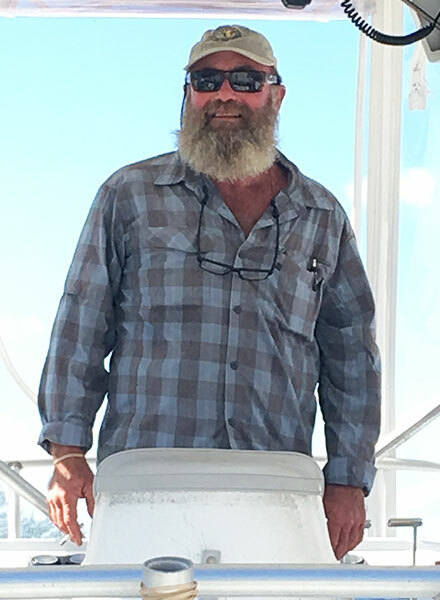 You will find Donald aboard the Sportfishing Boats helping customers to have a great time and catch big fish. He is truly a jack-of-all-trades and has a wide resume of fishing skills. When you fish with Dylan, you will immediately notice his passion for rigging up fast and efficiently. He works the cockpit with muscle and brains to put his clients on fish. He is great on the leader with big sharks, sailfish and putting fish in the box for a fresh meal. 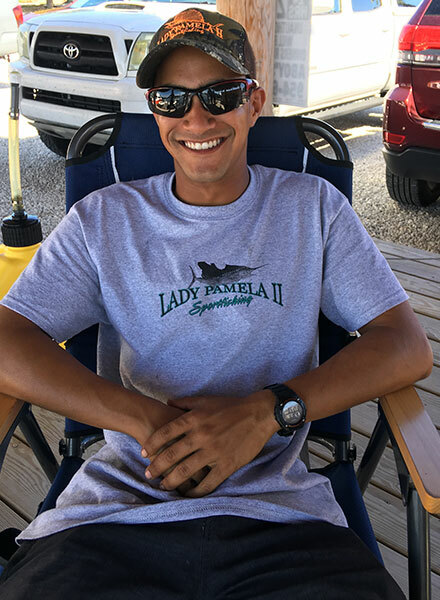 Hailing from Trinidad, Liam brings a smile and passion for fishing on every trip. He loves to put clients on big fish while keeping the mood light and always has a ton of optimism we will always find the fish. Liam is great with junior anglers as well. Mac is at the marina to help our customers get on the right boats, park cars and answer any questions. 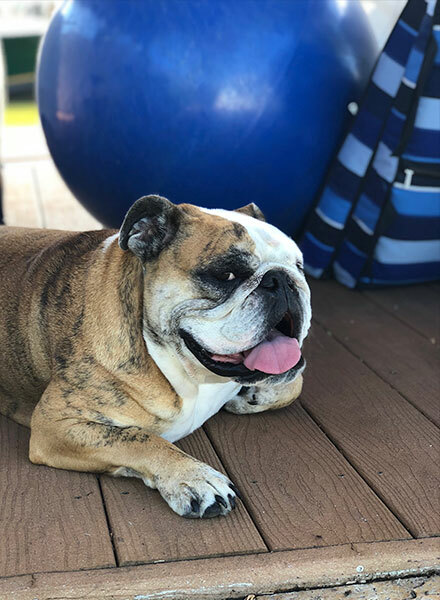 You’ll find him in the office or running around the marina to ensure the entire operation is running on time with customer service being the highest priority. So if you have a question, grab Mac or anyone of us and we are happy to help. Peter keeps all the boats running and maintained to the max. He schedules all the maintenance is and responsible for all the boats running in optimal condition. He loves old cars and has been known to have landed some big Marlin around the world. Say hi to Pete when at the marina. Ava is our up and coming Captain. 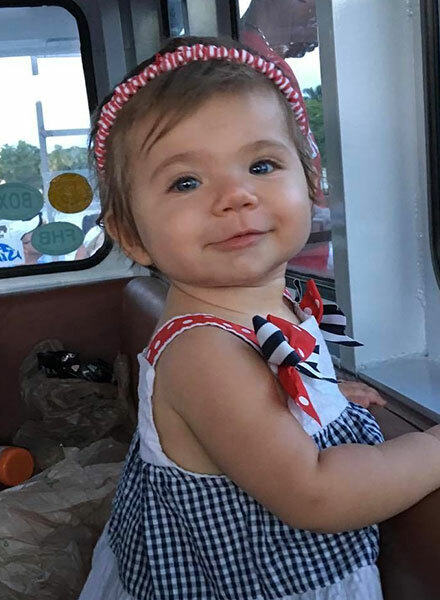 She loves to catch small snappers aboard the Lois Ann. When she is not fishing, she enjoys long naps and hanging out with Thor. Thor is the ultimate slacker, but everyone loves him and he loves everyone. Say hi to Thor when at the marina.